Design Build Planners offers two opportunities for homeowners to recoup some or all of the their initial design and development investment! DBP Preferred Remodelers discount the project cost by the full amount homeowners pay Design Build Planners for the design and development services. Homeowners have the opportunity to be introduced to DBP Network Showrooms for direct-purchases. without being marked up by the contractor and utilizing trade discounts. Who Are the Design Build Planners? As New Jersey designers, we work with some of the best remodeling contractors in New Jersey and throughout the United States to help you turn your dream home into reality. Whether you are looking to remodel your kitchen, bathroom, basement, or expand your home with an addition, our unique Design-Build process will help you save time and money while giving you a remodeling experience you never thought you could have. Design Build Planners realizes that renovating your home is something that you may only do once or twice in your entire life. Therefore, it’s understandable that there is a learning curve when it comes to researching and hiring contractors, evaluating remodeling estimates and comparing different prices, and ultimately working with your chosen general contractor or remodeler to successfully complete your project. Since we live and breathe home remodeling on a daily basis, we consider it our responsibility to guide you through the home improvement process to make your next renovation a pleasant experience. Design Build Planners are not New Jersey remodeling contractors or residential architects in NJ. We are design build professionals who work for you, the homeowner, to design your room or home, and then help you find the best local remodeling contractor and New Jersey interior design firms for your particular project. We realize that there are many excellent NJ remodeling contractors who excel at building your remodeling project, but who may not have the resources to dedicate to educating homeowners and providing a complete design service that aligns with your budget. What will my remodeling project cost? How do I pay for or finance my home renovation? What type of remodeling contractor should I hire? Should I hire a NJ architect first or go with a design build firm in New Jersey or in my state? Is it better to hire a general contractor or try to manage the project myself, or even do all of the work myself? How do I evaluate different estimates when I don’t know the cost of remodeling projects? Who are the best remodeling contractors in my area? How do I make sure that the process goes smoothly, that the contractors show up when they say they are, and complete my project on time and on budget? We want you to be comfortable with the home remodeling process because it can be a lot of fun! Spending the time up front to do your homework and find answers to these pressing questions can make the entire home renovation exciting and relaxing. The next step in our home remodeling service, and the step that truly separates Design Build Planners from any other remodeling company in New Jersey or the United States for that matter, is our unique design service that enables you to see your project before you build it. Based on your realistic budget and the money you have available for your project, we will design up to 3 full color 3D renderings of your proposed project. We complete this with our in-house team of remodeling designers using Computer Aided Design (CAD). We will usually design three projects at different price points: Modest, Robust, and Wow. From there, you are able to pick one of them or mix and match elements from each of the designs to truly build the kitchen, bathroom, or basement of your dreams on the computer before you even hire a remodeling contractor or research architects in NJ. If you are not familiar with what different types of home remodeling projects cost, we have developed a guide for you that outlines the costs of remodeling projects in New Jersey and throughout the Northeast United States. We still recommend you schedule a 15-minute phone consultation with us, but this pricing guide should at least get you started in the right direction. We are very happy to be able to offer homeowners throughout NJ a single source solution for your custom new home building and remodeling needs. We have services that fit varying price points and budgets. However, all of our services have the goal of exceeding our clients' expectations and making the new home building and remodeling experience as enjoyable as possible. With our network of professional remodeling companies in New Jersey and throughout the county, combined with our design build services and client engagement, very few companies compete with us at what we do. The remodeling contractors that we closely work with are experts in craftsmanship and customer service. We all realize that when we show up that first day for your home remodeling job, we’re not stepping onto a jobsite, but rather into your home. Many of our clients become lifelong friends from the relationships that we build after working closely together for weeks or months. Our design build projects have won national awards and we have even been featured on HGTV. We take every remodeling project seriously and treat it as if it were our own. We work with you each step of the way to ensure that the remodeling experience is truly an enjoyable one and that your new or upgraded home is everything you wanted it to be and more. Plus, we warranty all of our craftsmanship, products, and appliances to give you peace of mind. In fact, we even have scheduled check-ups after your remodeling project is completed in order to make sure everything is in top working order and you are 100% delighted with your new home. Whether you are looking to simply refinish your cabinets and upgrade your counter tops or completely remodel and upgrade your kitchen, we will help you make the heart of your home the perfect place for gathering, dining, and entertaining. We truly enjoy custom kitchen designs, designing and building kitchen islands, breakfast nooks, and even outdoor kitchens and entertainment areas. 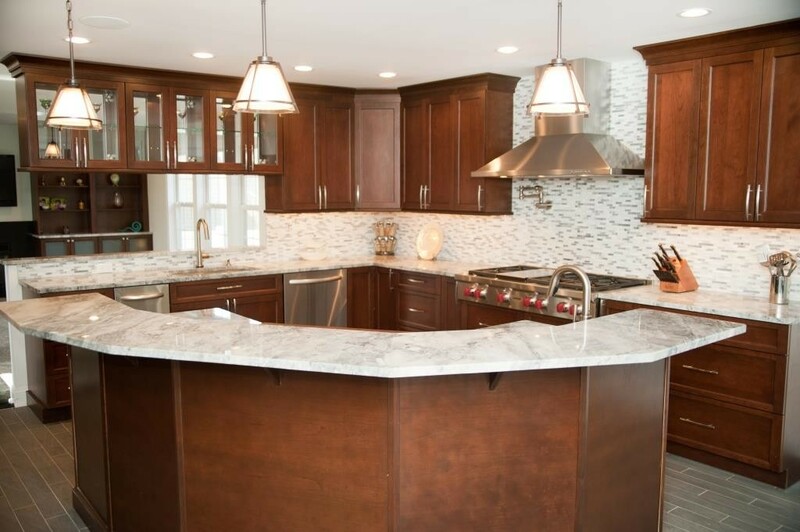 For home kitchen design in NJ, we believe Design Build Planners is truly your most sensible option. Remodeling your bathroom, whether it’s your master suite or a simple powder room, is one of the best ways to add value to your home. When you think about it, the bathroom is one of the most functional areas of your house and one in which you may even spend the most time. A simple bathroom remodel may include the addition of recessed lighting and new tiles, while a full bathroom remodeling project or new spa bathroom would include a new tub or shower, updated bathroom fixtures, and custom surfaces such as countertops, floor tiles, and shower tiles. 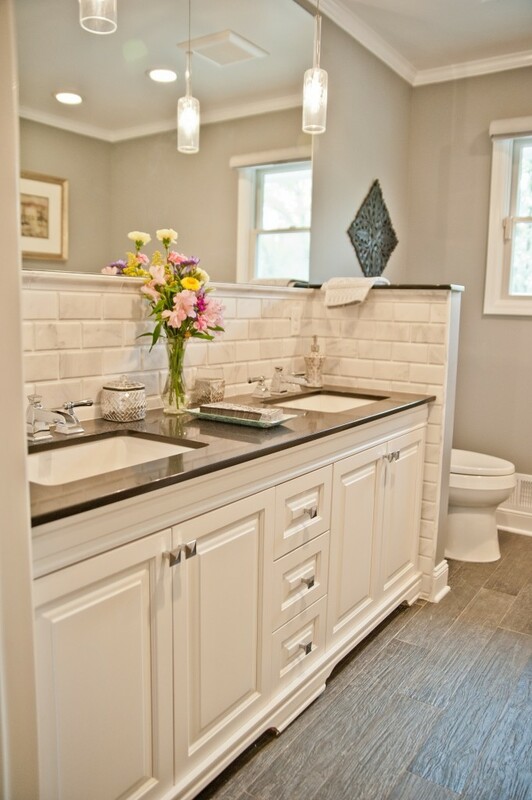 There are bathroom NJ remodeling designs and remodeling prices for every budget. Basements can be one of the most exciting areas of the house to renovate. Usually there is a lot of space to work with and we can really help you get creative in creating a nice relaxing room or even several different rooms. We love designing and building man caves, wet bars, home theaters, game rooms, exercise rooms and home gyms, wine tasting rooms and cellars, and even basement bedrooms. There are several additional factors that are important in a basement renovation project, such as mold and moisture, so we always recommend going with a top remodeling contractor in New Jersey or in your state. Since real estate is not as predictable as it once was, many of our clients are choosing to remain in their homes and add on to their existing structure. NJ home additions can include: add-a-levels, master suites, garage conversions, in-law suites, great rooms and lifestyle rooms, sunrooms, mud rooms, and much more. If you feel you have outgrown your current space but don’t want to move, a new house addition may be perfect for you. When people think of home remodeling, they usually think of the indoors. But outdoor living and entertainment areas have become extremely popular in recent years. We specialize in: outdoor kitchens, fireplaces and fire pits, enclosed patios, sunrooms, pool houses, cabanas, and more. If you’re looking to make your outdoor area a true three-season gathering place, contact us to get some design and cost ideas. The Design Build Planners have the capability to design and develop an entire new home for you and your family. We work closely with several New Jersey custom home builders and architects in NJ and apply our same home remodeling process to new house construction. Before you spend your life savings on a new home, wouldn’t it be nice to see it in 3D Color Design from a top NJ designer before you write that big check? Once you settle on a design that you love, we work with you to source the best possible architect to product your set of NJ house plans. Once your home plans are in place, you're ready to find the perfect remodeler to make the vision for your new dream home or remodeling project come to life. Whether you are looking to renovate or upgrade your home, exploring NJ home additions and renovations, or whether you are looking for a new home builder or general contractor in New Jersey, we invite you to schedule a FREE 15-minute phone consultation with the Design Build Planners. During our call, we will gain an understanding of what you are looking to do, explain our US and NJ design build services in more detail, and see if we are a good fit for one another. We look forward to providing a better approach to remodeling for you, your home, and your family!